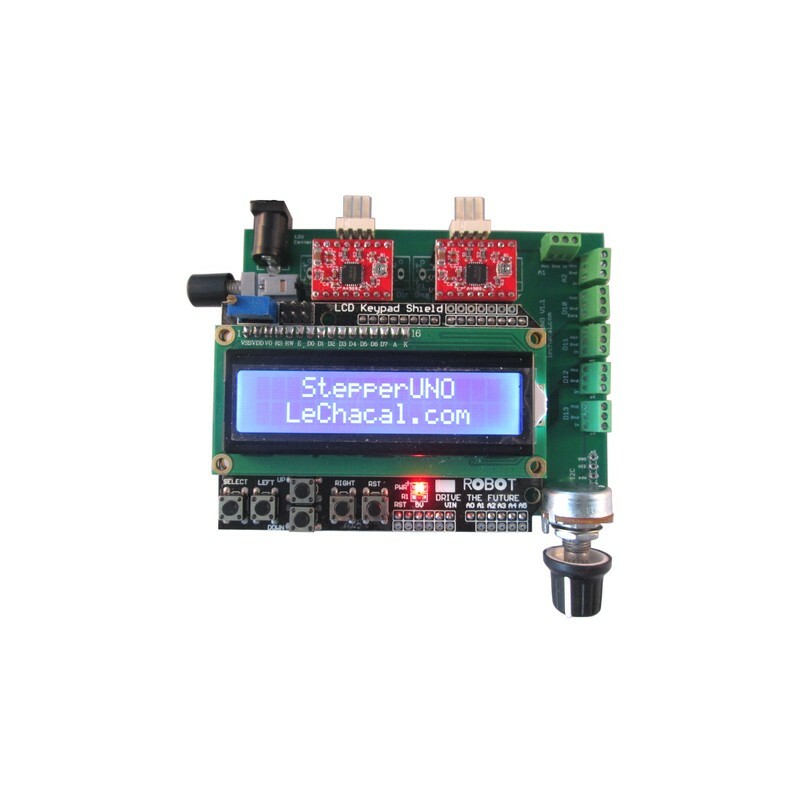 The StepperUNO is a stepper motor control board for standalone system. 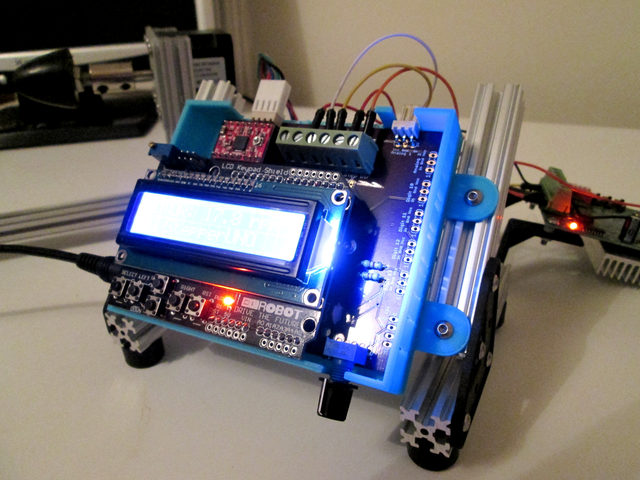 It can control up to two stepper motors and read sensors at the same time. It is suitable for small application where some automation is required. The software works exactly as an Arduino UNO. 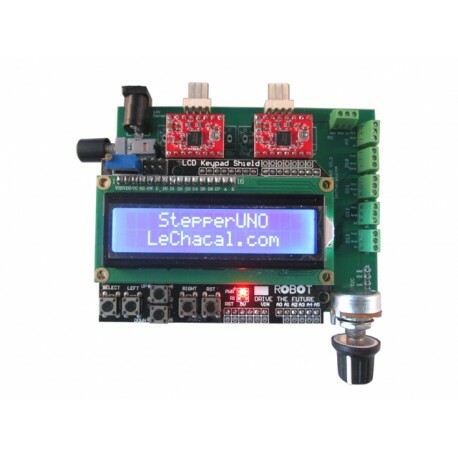 The StepperUNO is a stepper motor control board for standalone system. 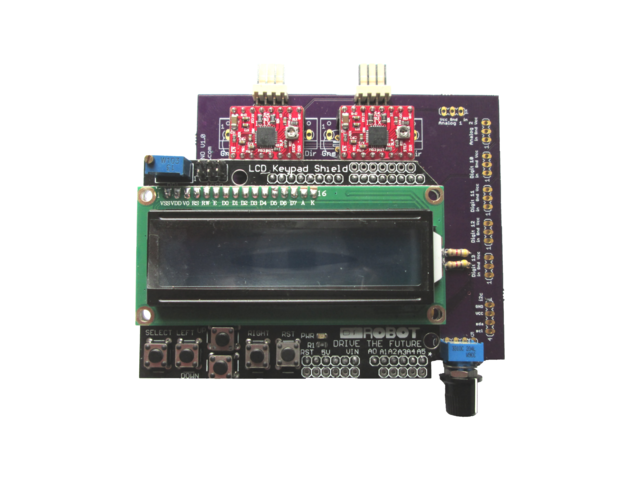 With this board one can control up to two stepper motors and read sensors at the same time. It is suitable for small application where some automation is required. Based on the pattern of the Arduino UNO it is designed to host a LCD keypad shield. 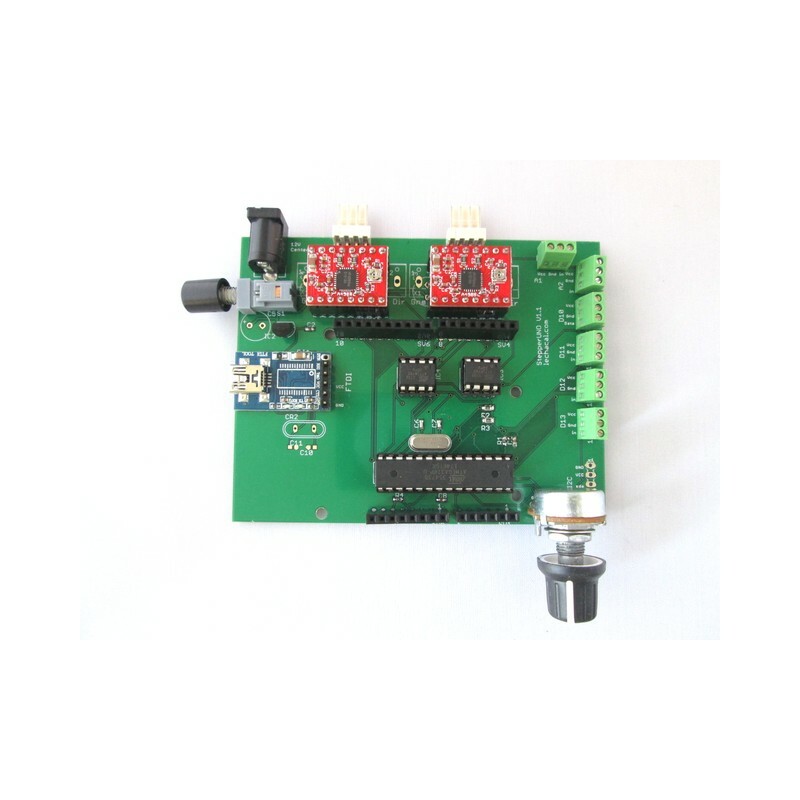 This combination makes the stepperUNO an excellent board for application control. The software works exactly as an Arduino UNO. See more info on the wiki page here. 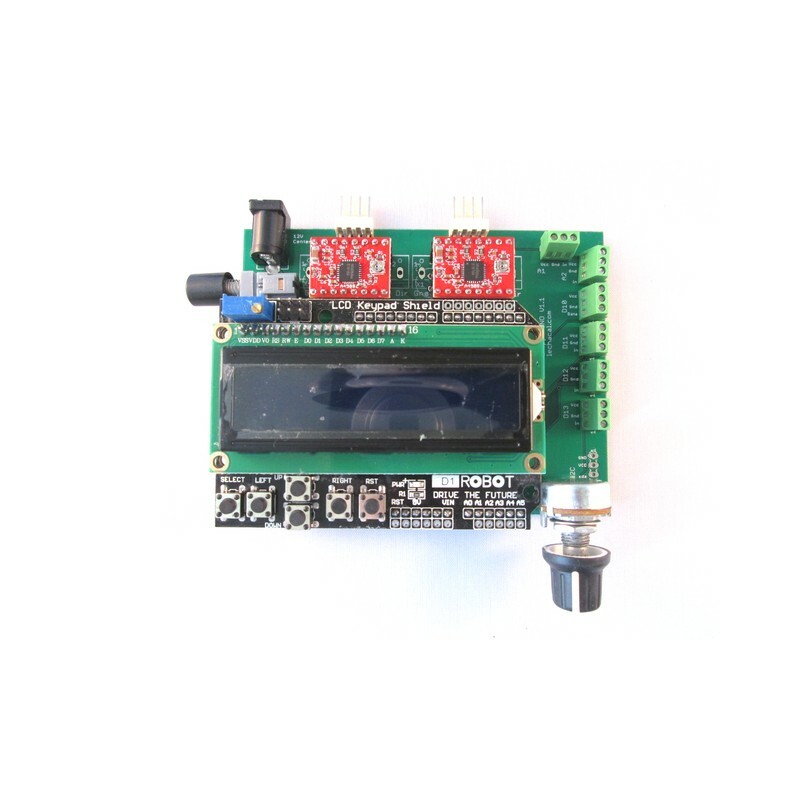 - 1 LCD keypad shield. Please enquire with us if you need the 3D printed enclosure basket and stand. The board is also available for generic stepper driver with green screw terminals. Please enquire with us to order this kind.